The Mississippi River borders most of East Arkansas; it’s a beautiful place to visit if you love nature with plenty of lakes and rivers. 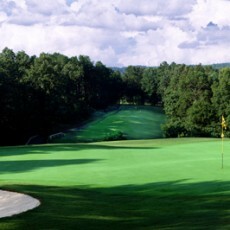 Arkansas has over 223 golf courses and Little Rock, Arkansas has over 30 golf courses. War Memorial Golf course has a 4 out of 5 star rating, designed by Herman Hackbarth in 1931. Regular 18 holes features 4,432 yards with a par of 65. This executive course is hilly and has lots of water hazards by 3 holes. The second largest populated city (86,209) is Fort Smith, Arkansas Magnolia/Silo at Ben Geren Regional Park Golf Course. Built in 1970 by Marvin Ferguson, “Golf Digest” rated the original Magnolia/Willow Courses as the 8th “Best Public Course” in 1996. This golf course has a total of 54 holes and 196 yard, par 3.